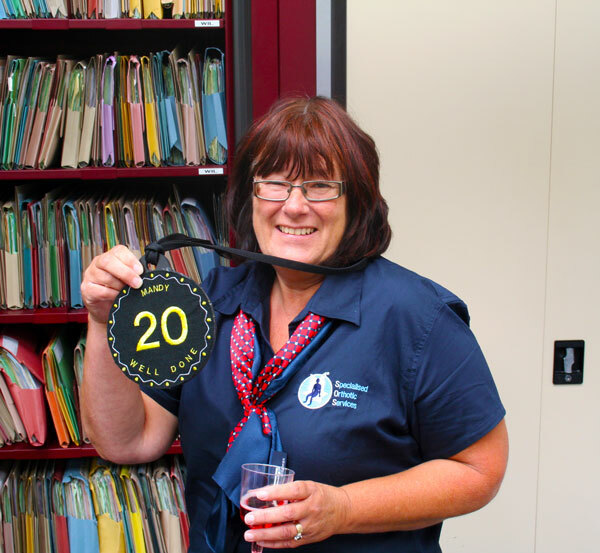 SOS would like to say thank you to Mandy Johnson for 20 years service. 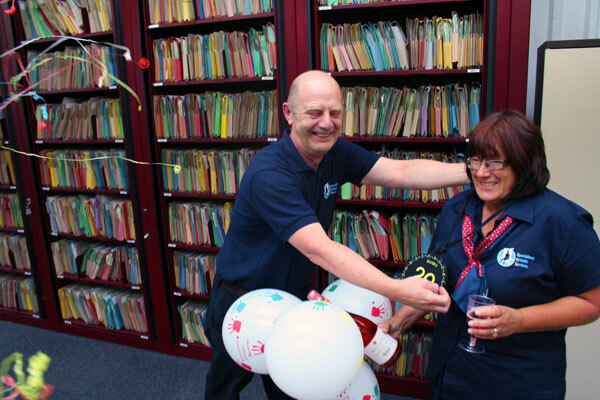 Having joined the company on the 22nd August 1993 Mandy became part of a 3 person team in the offices. Working as an accounts administrator, Mandy has been a credit to the organisation and the company would not be the same without her excellent performance over the years. 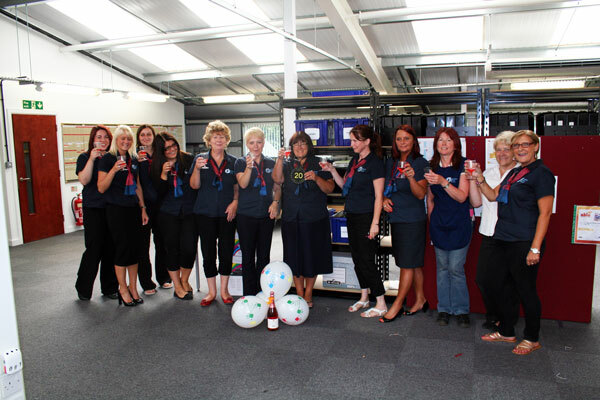 As a small token of appreciation we cracked open a bottle (non-alcoholic of course!) and raised a glass to Mandy Johnson for her excellent work.